Fabric Crafts, Knitting, Crocheting,Quilting, Embroidery, Sewing, No Sew Projects and more! I have finally given my Needlecraft links their own page! For Braiding, gymp and laceing see my see my Braiding pages. Great, Quick Projects for All Level Knitters and Crocheters. The latest in fabric craft crazes! Sewing fabric bowls. The books offered on this page can get you started. If you have not seen or heard of these bowls they are really incredible. Sewn in multiple layers of print material. They are reversible and usually washable. Cloth is fused to a stiff material called Timtex and then machine sewn with colored threads like you make darts. Lori now has pictures of her fabric boxes. I love the Fabric Recipe Boxes and Fabric "Chinese Take Out" Boxes. Free Instructions and supply sources. Kayewood.com offers quilting supplies, lessons and tips. As California Stitchery and Crafty Needle they had been in business for over 20 years. Now Crafty Needle has new owners and moved to Florida. Lots of new things. You'll find: stamped cross stitch, counted cross stitch, crewel embroidery, paint by number, longstitch, crochet, latch hook, and any other kind of stitchery here. They also do custom designs. They also have a large selection of Jewish kits. They are constantly adding more designs to their extensive collection of handpainted needlepoint kits for Tallis Bags and Tallis (attarahs)collars. Click on these buy today and help support Chadis Crafts's Fun Pages free lessons. Check out the Best Buy Prices! You pay a flat shipping rate from all of Amazon.com's marketplace sellers BUT often only a small fraction of the new price! JudaicaJournal by Dr. Mom. Wife, Mother, Doctor, Artist. 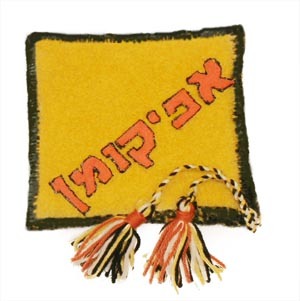 needlecrafts and Jewish Embroidery. Great inspiration. 5%off purchases $199 use code take5off. 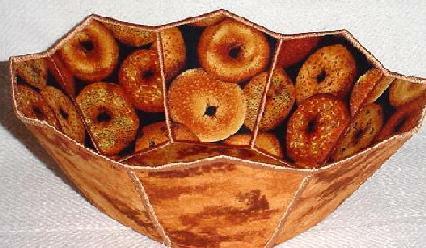 Craft Stew is a great craft blog that has some Jewish crafts. Bond Ultimate sweater machine. They have lots of tips and free lessons on the manufactures pages. From my research it seems the best buy is to buy the deluxe model. It comes with an extension, counter and the attachment to make designs into your knitting. You can buy it from the manufacturer, Joann.com and Allbrands.com. For some of the little extra accessories and little tools you will have to go to Bond the manufacturer. Eileen just treated herself for the holidays to a DELUXE ULTIMATE SWEATER MACHINE. Shop their store for a full line of Educational and Recreational Jewish software. Some of the pictures and clip art they sell can be digitized for your embroidery machines if you already own a digitizer. Often have FREE CD NO PURCHASE NECESSARY! JUST PAY SHIPPING! Supplies are limited! Interweave Knits Magazine's Knit Chuppah. 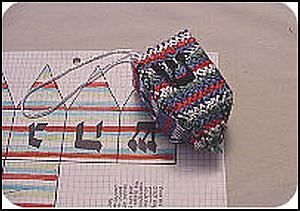 Buy a pattern for a blanket or wall hanging that is knitted for Chanukah using the Illusion Knitted method. A great design by acacheofjewels. 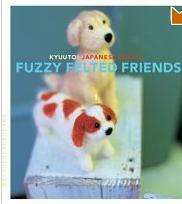 Felting, Knitting and Crocheting Books,Magazines, Supplies and more! Have moved to their own pages. Knitting and Crocheting Shawls, Ponchos and more. Just a few of the books! Finally getting long enough to seperate into a group of it's own! 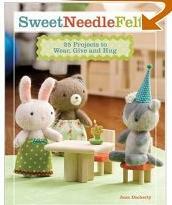 To see general needlecraft lessons and links go to my Needlecraft pages. A first for Chadiscrafts, Eileen is asking all of her followers to check out these amazing college students' senior project. But their project is amazing. Consider it a crafters tzedakah project! They will be taking a stash of fabric scraps from a grandmother, digitizing and making new fabric that they will then sew into clothes and hats. Their project is to have 2 full fashion shows. Handmade clothes and millinary hats! Please look at the video for this amazing kickstarter project. Their goal is to raise $1,200 by Feb. 23. Every dollar counts! Remember this is a pledge, as with all kickstarter projects, if they do not reach their goal, it costs you nothing. Pledge from $1 to $500. Please support these young artists. They more than doubled their goal. Thanks to all that supported them. 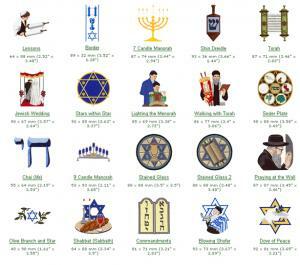 in this list of yarmulkah patterns. Great advice on yarn and stitches for fancier kippot. it does show pictures of crocheted Kippot/Yarmulkas. They may inspire your own designs. 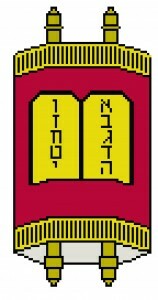 into a crocheted yarmulkah. By Arlene Bernhardt. 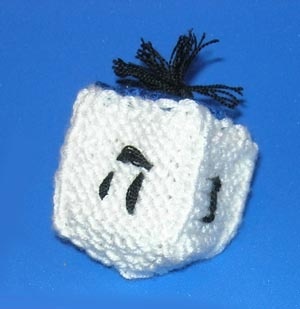 Gallery of many Jewish needlecrafts. It has a few unique ladies yarmulkahs with patterns . they just ask you give a $1.00 donation to the Holocaust Memorial Museum. A great cause to donate to! Some uses yarn others cotton threads, you can choice which you want for either. 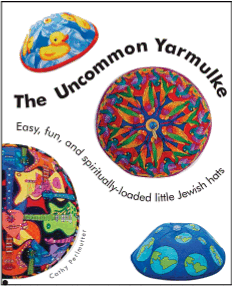 See amazon books listed below for yarmulkah pattern design book. names in English and Hebrew and more. As California Stitchery, they been in business for over 20 years. paint by number, longstitch, crochet, latch hook, and more. They also do custom designs. They also have a large selection of Jewish kits. of handpainted needlepoint kits for Tallis Bags and Tallis (attarahs)collars. 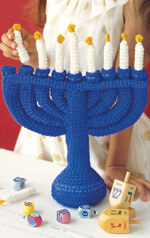 They also have kits and patterns for needlepoint, crocheted and other Yarmulkahs. 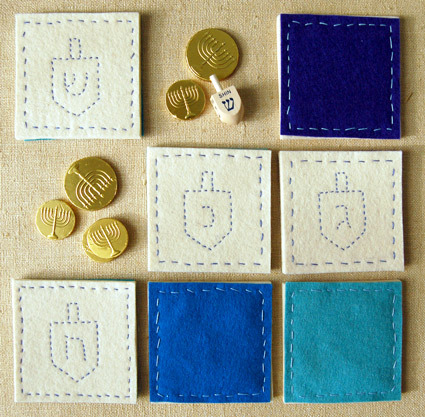 Although not needle crafts like the rest of this page, I wanted to list these with other patterns for yarmulkahs out there on the web. One of the many crafts people selling hand crafted kippot has generously offered instructions for those that want to try one themselves. Of course as what often happens with most crafts, unless you are making many of them, the cost of supplies and tools seems to suggest you are better off buying one of her lovely ones. Especially with a craft like this that has costly materials that can be ruined in your early attempts. you can buy the sewing yarmulkah book from the author as a book or download. The paper folding Origami book is a download from the author. Have a pattern or craft to share? I am always looking for new patterns and crafts to post on my site. Giving you credit of course. 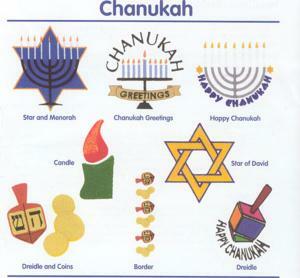 Search on Hanukah and 4 fabrics show up. 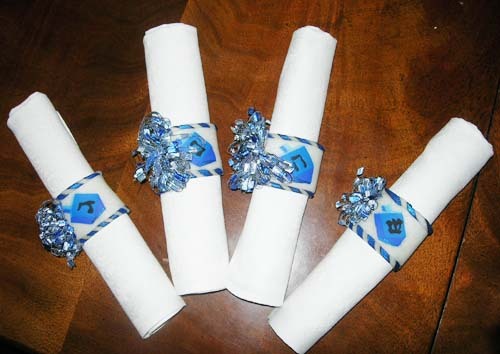 Dreidel, Damash, Menorah and stars plus a year round star of David print cotton. All on sale! Search on Alexander Henry Fabric for some Jewish Fabric. They make new Jewish Fabric every year. 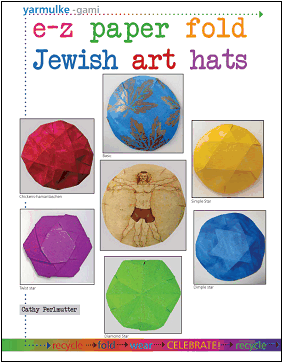 Great source for Jewish fabrics and craft supplies. 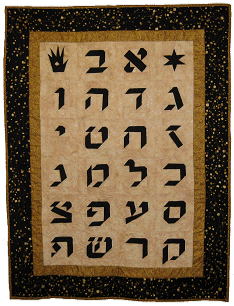 Resources and Links for Jewish Fabric crafts. Supply sources, pattern sites and more! and some patterns for popular words in Hebrew. needlepoint, cross-stitch and ceramic bisque. A needle work studio that produces kits for stores. She has links to stores that carry her products. She has a wide range of beginner kits including a few Jewish ones. knitting and more in very unique projects. to the Holocaust Memorial Museum. Incredible! Some free. Some great sets to buy. Lion brand yarn felted afikomen bag. Knitted pattern using wool that is then felted. The process where you wet wool so it shrinks together into a piece of fabric. Lion brand even has a stencil for the HEBREW letters! Web page and beadie designs ©1998 - 2019 Eileen Chadis Wood. Use at home or in the classroom permitted as long as copyright is acknowledged. This site is sponsored by Chadis Crafts at Etsy and www.chadiscrafts.com.